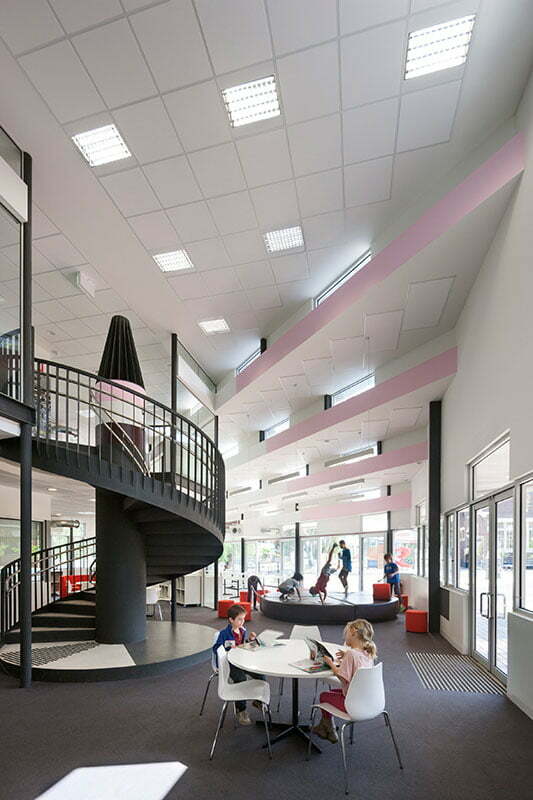 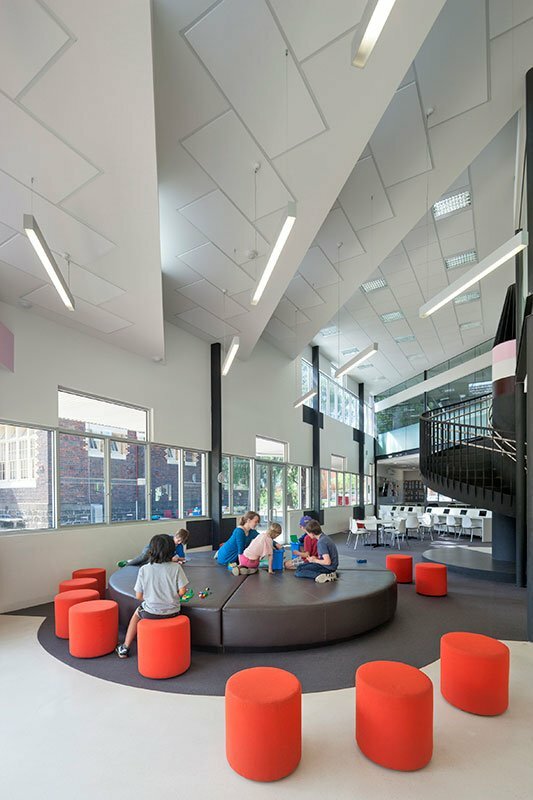 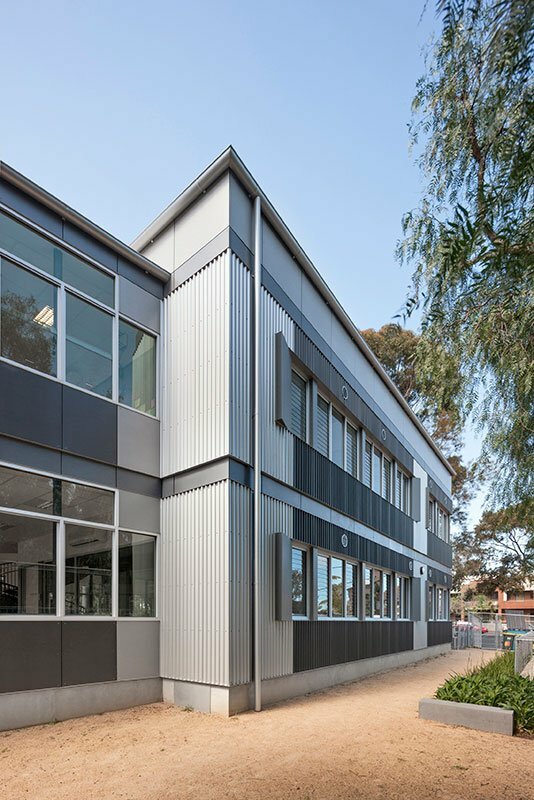 This project is the final stage in the implementation of a three stage master plan done by Workshop Architecture in 2004, replacing an existing cluster of seven relocatable classrooms with a single, purpose built two storey teaching facility. 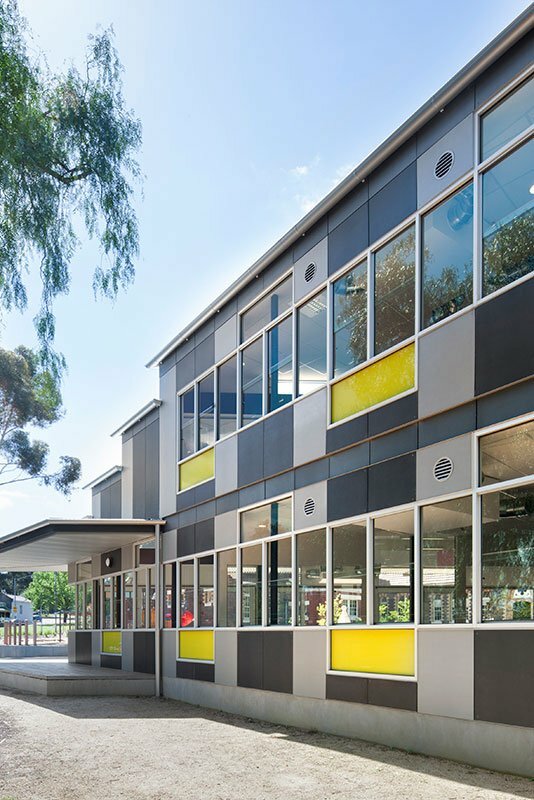 A new site entry is created from Errol Street to the north-west, reconnecting the school, named Errol Street Primary to its namesake. 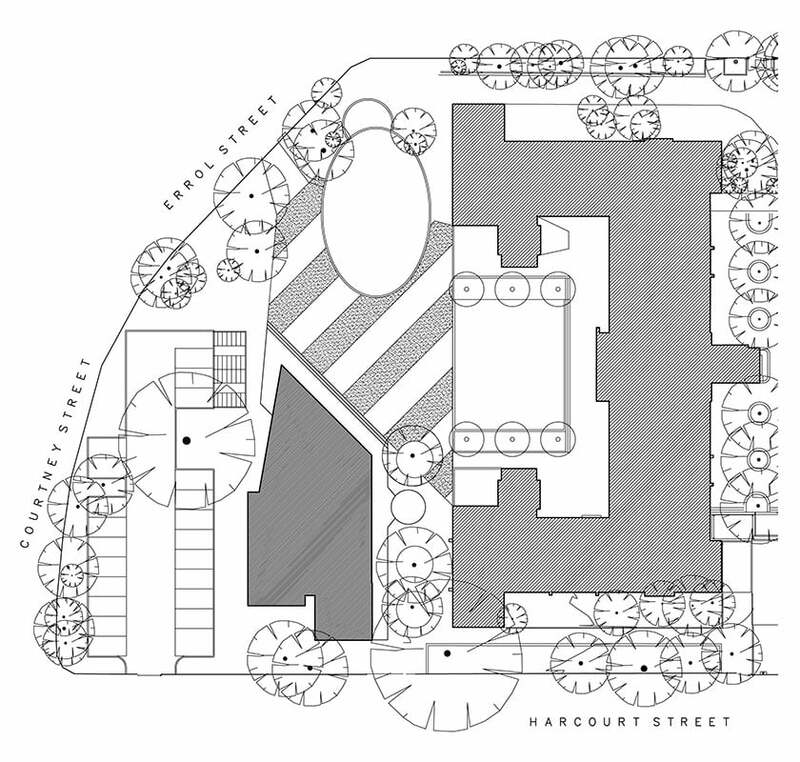 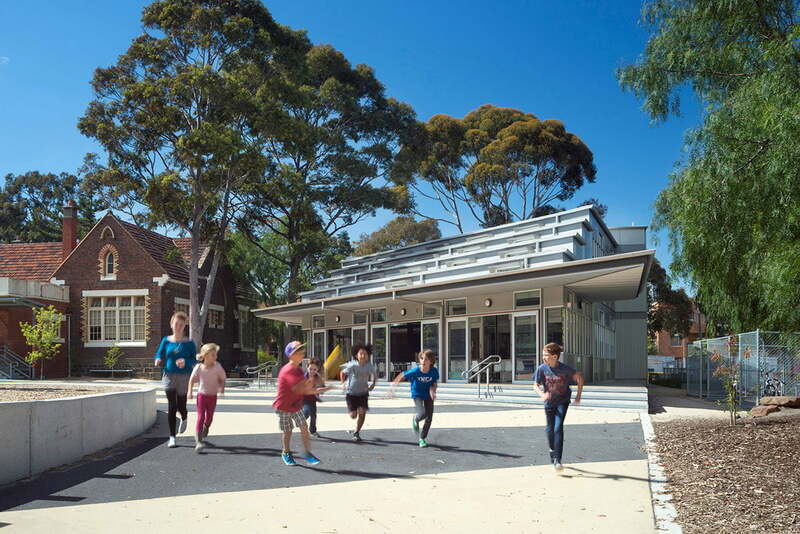 The alignment of the new building along its northern edge reinforces views to the original heritage school building and allows the existing courtyard to open onto a new play area which forms a forecourt to the new building. 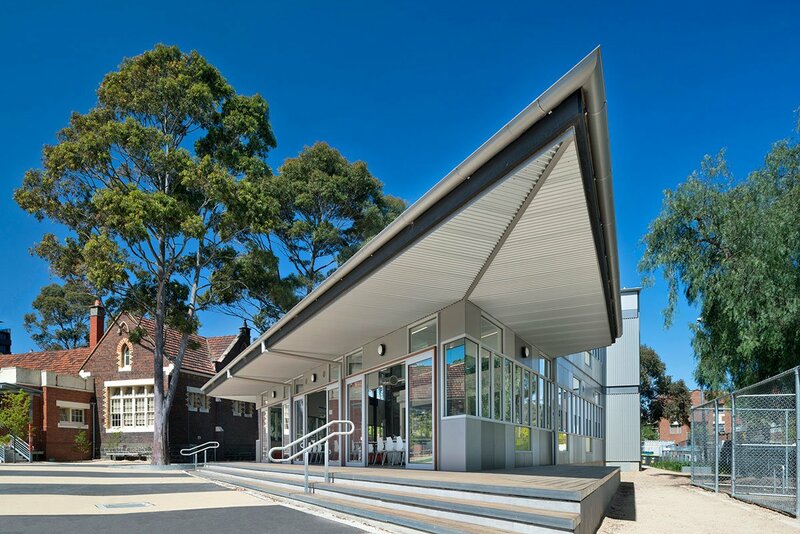 From the entry its roofline is stepped to the north, reducing its scale against the playground edge and the heritage building alike, whilst allowing for controlled entry of sunlight deep into the floor plan. 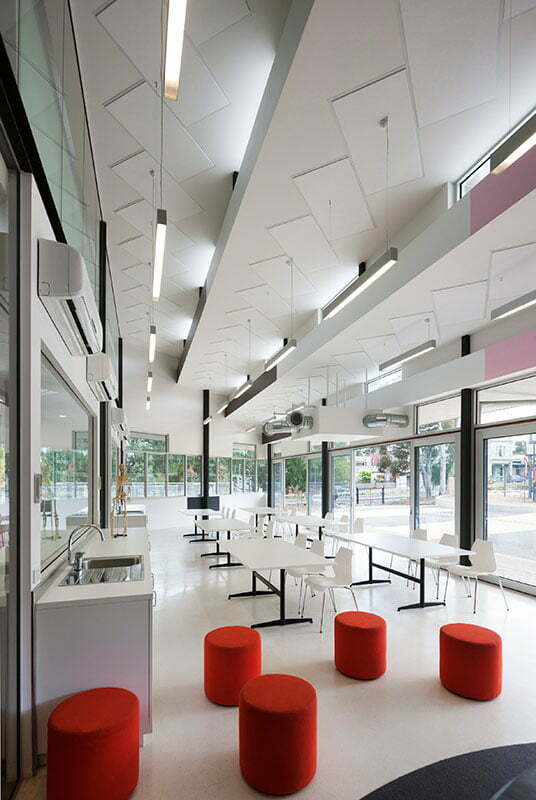 This project required innovation from the ground up to achieve exemplary outcomes on a shoestring budget. 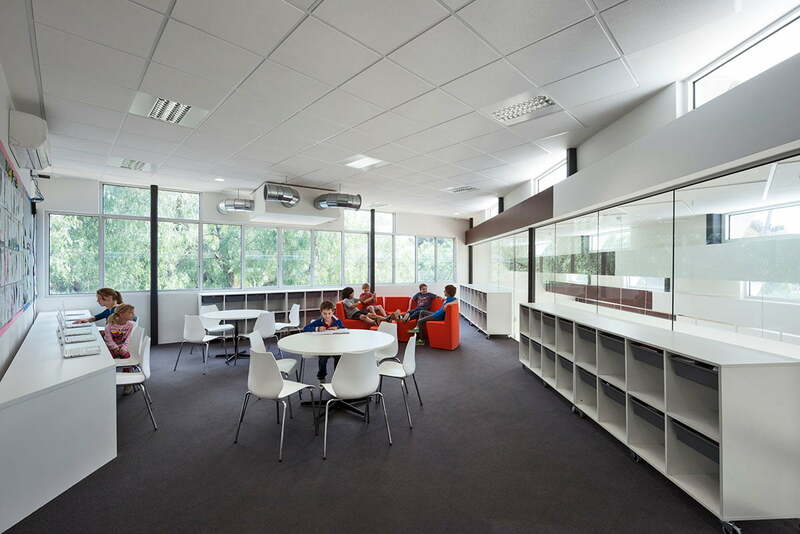 The traditional classroom teaching model has been abandoned in favour of the ‘activity based team teaching’ model. 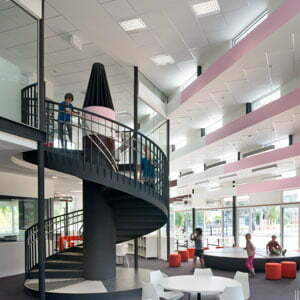 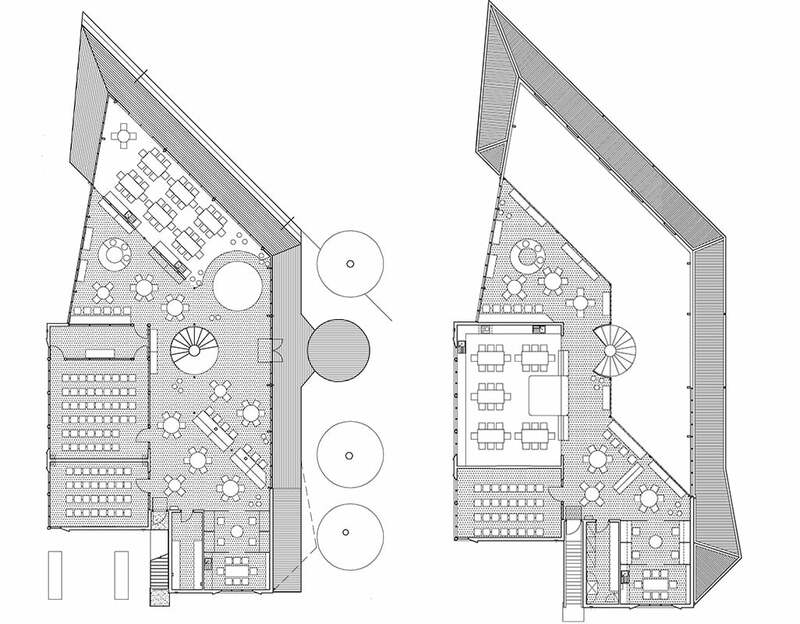 This creates spaces somewhat like an internal playground for learning with dedicated activity areas for reading, listening, making, performing and computing within two open plan ‘learning neighbourhoods’ of 100 students downstairs and 75 students upstairs, the detailed design of which was carried out in consultation with Mary Featherston. 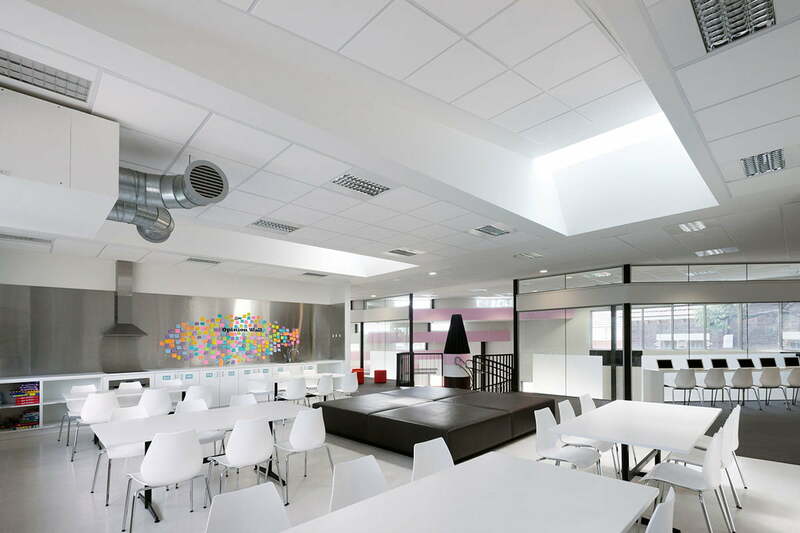 An innovative mixed mode air conditioning and ventilation system was also developed to control temperature, air quality and CO2 levels. 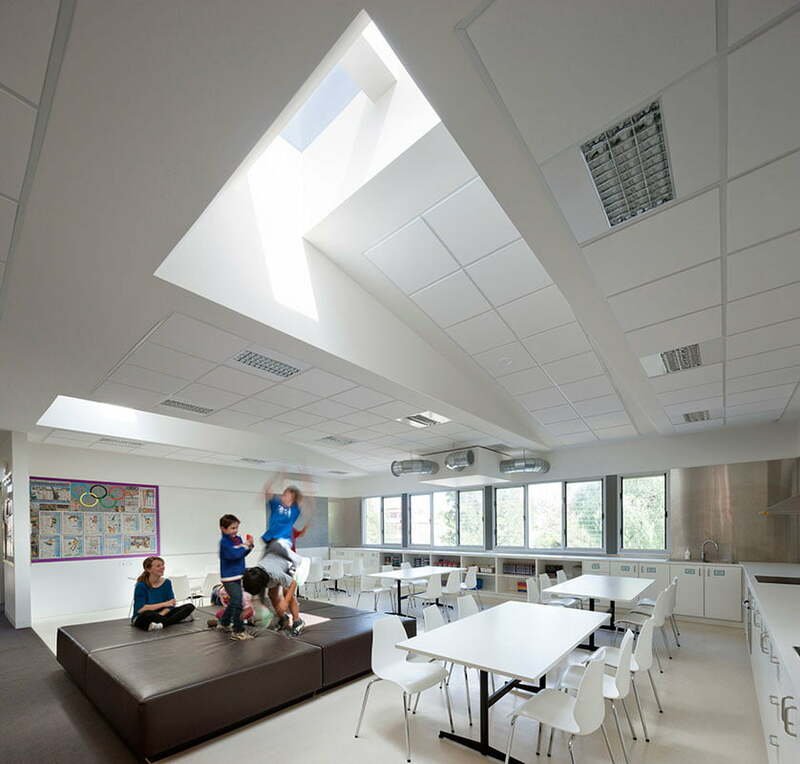 In mild weather the windows are opened whilst during hot or cold weather, the windows are closed and heat exchange ventilation units are activated to provide high O2 content fresh air with minimal loss of heating and cooling energy.